This 'beautiful girl' will take not only your breath away but she will also take you on a glorious ride. 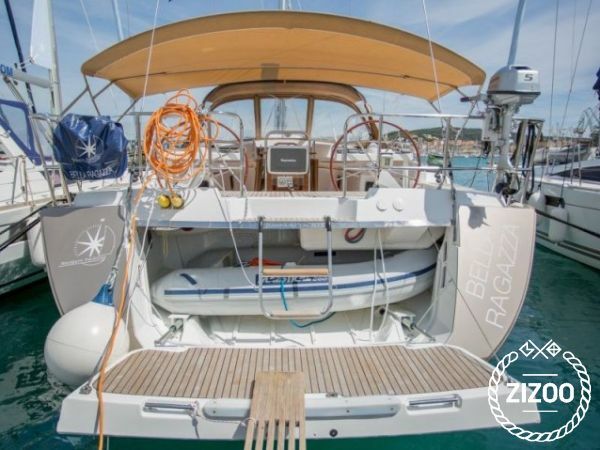 The Bella Regazza, a 2012 Jeanneau 57 Performance cruiser, with 5 cabins and 4 bathrooms, offers ample space for a large gathering of friends. With the Bella Regazza you can party in style. Take your best friends and visit some of the best summer festivals in Europe. Spend your days exploring the coastal islands and towns and spend your nights dancing till you drop at any one of these awesome gatherings for music lovers: The Garden Festival, The Electric Elephant, Hideout and Soundwave. Past shows featured DJ Shadow, Claude van Stroke and Crazy P. So if you have a passion for dance, with so many options you really can't go wrong! So check your dates and book your boat. For more ideas and suggestions, contact your awesome crew.